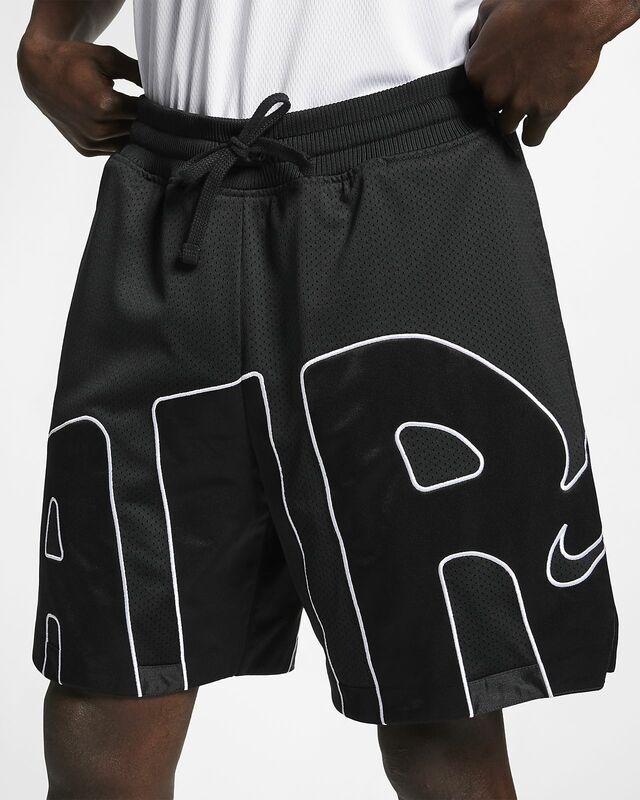 Wear your “AIR” bigger and bolder than ever in the Nike DNA Shorts. 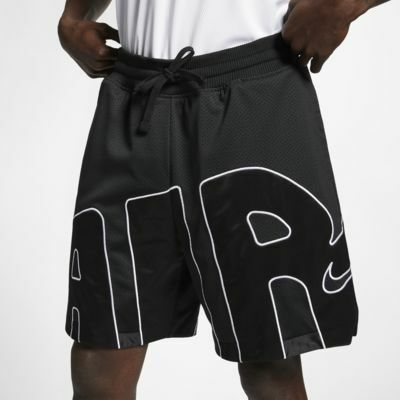 Inspired by the legendary Air More Uptempo, these double-layer mesh shorts bring back a ‘90s vibe, when basketball was all over culture with its soul and swagger on full display. A double layer of heavyweight, open-hole mesh has a soft, quality feel and a robust drape, while the thick, ribbed waistband surrounds you in pure comfort. Oversized “AIR” is cut and sewn into the design using glossy fabric with an embroidered border. Other details include silver-metallic zipper and a woven tag of authenticity. Have your say. Be the first to review the Nike DNA.